It was a different sort of message posted on the lawn of St. Paul’s United Church of Christ in Dallastown, Pa. With a large yellow sign, done up in plastic capital letters, the church proclaimed on June 9: “Wishing a blessed Ramadan to our Muslim neighbors.” The month-long Islamic holiday had begun the Sunday before, and the message of interfaith community was not out of the ordinary for the self-described “progressive” church. The Rev. Christopher Rodkey, the pastor of St. Paul’s, wrote the message because he “is interested in religious tolerance,” as he told the Associated Press, and believes the religious right is often too quick to blame Muslims at large. St. Paul’s depicts itself as “unapologetically, progressively, offensively Christian” on its website. Rodkey was not expecting the flood of offended phone calls in response, but perhaps it was only a matter of time. On June 11, Rodkey checked his voice mail to find the outraged message. Via the York Dispatch: “I am completely shocked by that sign out in front of your church, that you are wishing people who subscribe to a faith that is not only godless but pagan, in front of your church aligning it with the name of Christ,” the man said. “It is unbelievable that you would wish them a blessed Ramadan.” It ended with a warning that the observer had photographed the sign and would be sharing it on Twitter and Facebook “so everyone can see this.” The man left no name. It was not difficult for Rodkey to deduce who was upset, by looking up the missed number displayed by caller ID. It belonged to Matthew Jansen, who is, Rodkey was surprised to see, a board member of the nearby Spring Grove Area school district. Jansen will also be a delegate to the Republican convention, supporting presumptive presidential nominee Donald Trump. Jansen was as good as his voice mail, posting the photograph to Twitter. Just before 1 p.m. on June 11, Jansen tweeted: “Choose your battles but if this is your hill here is the churchs’ # 717-244-2090.” @AnnCoulter. In the following days, St. Paul’s was plagued with phone calls, many that hung up when answered or left no message. The church disconnected its phone line and answering machine, but not before a veteran asked the church to apologize, reported the York Daily Record. In later interviews, Jansen said he was not trying to hide his identity but simply forgot to leave his name. He also stood by the message he left for Rodkey. “I don’t see Islam — or the Muslim belief — I don’t see it as legit,” Jansen said to the Associated Press. The day after his phone call, he noted, a Muslim American named Omar Mateen fatally shot 49 people at a gay nightclub in Orlando. Jansen told the York Dispatch he believes Islam is a cult trying to impose global Sharia law but denied that his opposition to the sign was “any kind of a discriminatory thing.” He told AP he had seen “disturbing” messages at St. Paul’s before, but he called the church June 11 because this was the first truly “blasphemous” sign. Rodkey expressed astonishment that Jansen held public office. 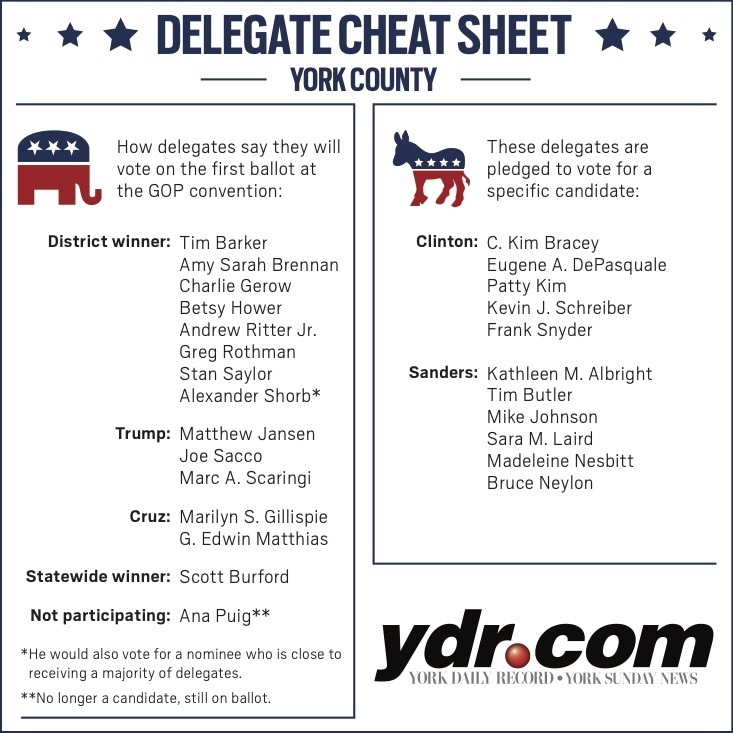 “I can’t believe an elected official would believe the things that he does,” he told the York Dispatch, although he also noted that the chair of the York County Republican committee had apologized to the church. Others, such as Tom Murray of the recently dissolved York Interfaith Alliance, saw Trump’s influence on Jansen. “He listens to Trump. He wants to support Trump. And what he’s doing is dividing the country,” Murray told the Dispatch. Earlier in June, 2012 Republican nominee Mitt Romney, who has long been a critic of Trump, warned of “trickle-down racism” in a CNN interview. Jansen told the York Daily Record that despite a petition signed by 500 people to unseat him, he is “not going to walk away.” Rodkey’s sermon Sunday referred to Jansen’s Twitter comments, the Daily Record also reports, telling the churchgoers to love their neighbors.